Yu-Ning was an exchange student in Poland from National Taipei University, Taiwan. She holds a bachelor’s degree in Economics and has completed International Law and Foreign Affairs Certificate Program during her undergraduate studies. Yu-Ning is a world traveler, she has been to 50 cities in 20 countries throughout Asia, Europe and USA. Yu-Ning was an exchange student in 2016 fall and spring semester, and with her team, reached Semi-Finalist Europe Top 15 of the 2017 Google Online Marketing Challenge (GOMC). 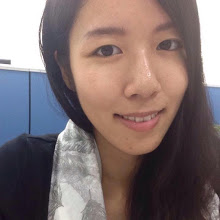 She participated in Internet Marketing class and worked on project of GOMC 2017, under supervision of Dr. Wojciech Czart.” Yu-Ning’s tasks during the competition included market analysis, Ad picture preparation, text preparation and searching keywords optimization as well as AdWords and Analytics analysis. She holds the Google AdWords Video Advertising Certification and Google Digital Garage certification. She learned a lot from this project and made a practical application on her own online shopping business.